For many years, the LDV dominated the commercial vehicle market. Sadly in 2009, the brand went into administration. However, in 2010 SAIC - one of the worlds largest automotive manufacturer companies bought the brand back to life, in 2016 LDV came back to the UK market. 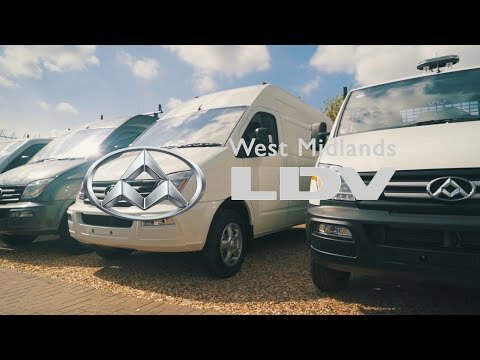 West Midlands LDV opened its doors in 2016. Since then we’ve worked with businesses and traders from various sectors from all over the West Midlands providing them with vehicles that are reliable, versatile and able to meet the demands of commercial driving. LDV manufactures large- and medium-sized vans and chassis cabs that are built to courier and transport heavy goods. We understand the industry and have an expert eye in order to help business customers select their perfect model. Whether you are looking for a panel van, a mini bus, or an electric model, LDV can provide a diverse range. We develop intelligent technologies to ensure that the comfort and style is not compromised in your everyday work, and offer five-year warranties and roadside assistance for your continued peace of mind. Our sales team have been in the commercial vehicle industry for some years now! Our team will be able to help you find the perfect commercial vehicle for your business. Contact the sales team today to hear more about our range of models, and become part of the LDV community.